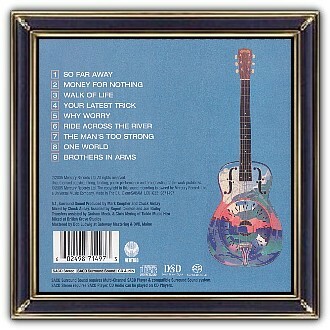 The guitar featured on the album cover is a National Style 0 Resonator. This National (serial number B1844) is a '1937 model and was made in 1938. It features single cone resonator, nickel plated body with sand blasted Hawaiian scene on back and palm trees on front and solid area on sides, round shoulder, upper F-holes, round neck, dot inlay fingerboard, bound ebony fingerboard. 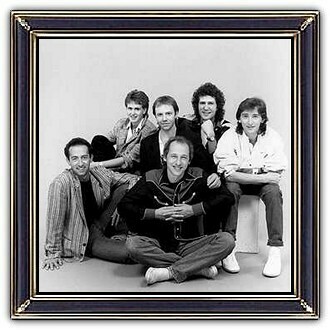 Dire Straits were a British rock band formed in 1977 by Mark Knopfler (lead vocals and lead guitar), his younger brother David Knopfler (rhythm guitar and backing vocals), John Illsley (bass guitar and backing vocals), and Pick Withers (drums and percussion). Despite the prominence of punk rock during the band's early years, their stripped-down sound contrasted with punk, demonstrating a more "rootsy" influence that emerged from pub rock. Many of Dire Straits' compositions were melancholic. 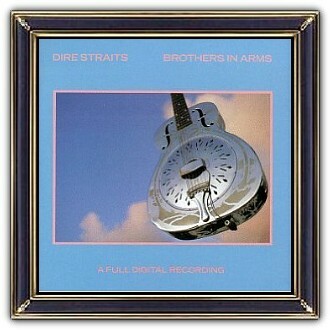 Dire Straits' biggest selling album Brothers in Arms has sold over 30 million copies, and was the first album to sell a million copies on CD. They also became one of the world's most commercially successful bands, with worldwide records sales of over 100 million. In 1995 Mark Knopfler quietly disbanded Dire Straits.